Prof. Chris Hennessey invited a guest speaker from IBS center of PNU. 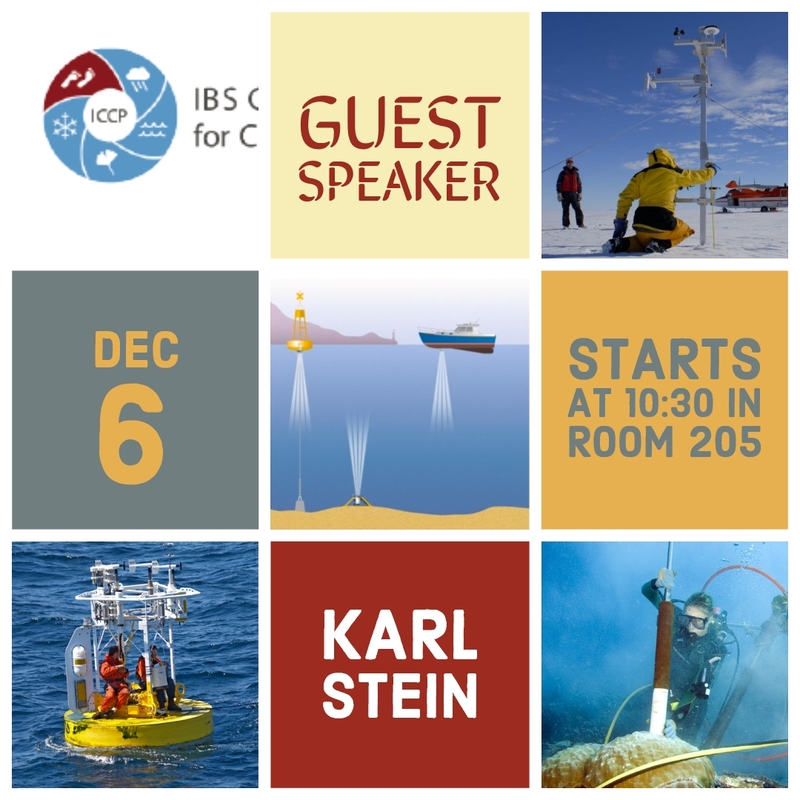 Our guest Karl Stein studied Oceanography and is now working for PNU's IBS center for Climate Physics. He will talk about Projections of Future Climate Change and How They Were Made. - Climate Models Solve Dynamic and Thermodynamic Equations on a Grid, and much more.